Mobilegeddon - Let Nettl make your website mobile-friendly! ARE YOU READY TO SAVE YOUR WEBSITE? DID YOUR WEBSITE SURVIVE MOBILEGEDDON? On 21st April 2015, Google changed their search results. This had “significant impact” on sites not designed for mobile phones. According to a Google survey, 94 per cent of people use a mobile phone to get local information and the vast majority of those searches take place at home or at work, despite it being likely the person searching could do so on a desktop computer. Look at your website on your phone now. Do you have to pinch and zoom to read it? Yes? Then Google may have affected your site’s mobile search results. Fortunately you still have time to save your site, but you should act fast. Call us today and book a free consultation. We’ll build you a new site which works beautifully on mobile, tablet and desktops too. To ease the pain, quote “mobilegeddon” and ask about sites that start from just £299 (or €399 in Ireland). Should we get started on your website today? 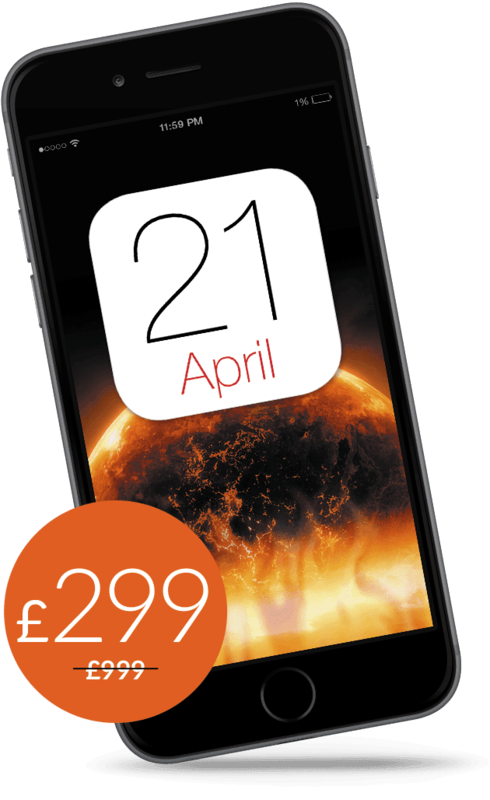 *Nettl :one Mobilegeddon promotion ends 31/05/15. Price includes design of single ‘scroller’ page. Extra pages and content available with upgrade. Hosting required at UK: £9.99/month (usually £15).